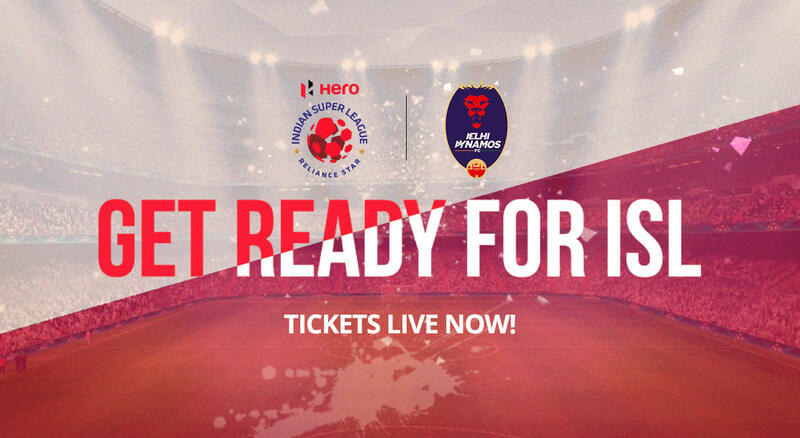 Indian Super League 2018-2019: Delhi Dynamos FC: Tickets, News, Schedule & More! Tickets for remaining 3 matches are out now !!! Delhi Dynamos are back in Hero ISL action after the short break for the Asia Cup. Buy tickets to the Lions’ home games. Special Offer: Buy two or more tickets and get free Paytm movie vouchers worth Rs.150. Delhi Dynamos is an engrossing and fascinating club. A roller coaster ride through the first 4 ISL seasons where they made the semi-finals twice, showed progress only to fail to build on it consistently. Their philosophy is sound though. Focus on young Indian talent and help them progress to the national side and develop them in the league along the way. An outspoken managing director, a raucous fan base and some interesting pre-season appointments including former Barcelona youth coach Josep Gombau as head coach this term make the club even more compelling to follow. While the team hasn’t performed as well as their fans would have liked, they’ve looked formidable, with perseverance and fight to win oozing from their game. With a new year, there is new hope, new signings and new vigour to make things happen in this long Indian Super League Season. All they need is a little push. If they make the most from their remaining 6 games and get a little stroke of luck, they can still make their way into the semi-finals and surprise everyone. Trailing 3-1 with just half an hour to play, Delhi Dynamos fans would have given up hope. Their team didn’t. Staging a thrilling comeback against the defending champions in front of their home crowd, they won the game with the winning goal coming in stoppage time. Watch! ISL 2 was a good season for the Dynamos, finishing in the playoff places for the first time. Here’s a look at some of the best goals they scored that season! A season in which the Delhi Dynamos finished with the most goals and best goal difference in the league stage. One of their key results was a 5-1 drubbing of FC Goa that gave their home fans much to cheer about. Go down memory lane with highlights of that game!